The United Democratic Party (UDP) has maintained control of the San Pedro Town Council as all seven candidates won the Municipal election 2015 on Wednesday, March 4th. They defeated the full slates from the People’s United Party (PUP) and the Vision Inspired by the People (VIP). The first figures released from the counting station indicated that the UDP was in the lead. One by one, the official figures came in, and as each figure put the UDP in the lead, the atmosphere became one of celebration. When the results from the ninth box came in at about 10:30PM on Wednesday night, the PUP officially conceded defeat after eight out of nine boxes showed clear wins for the UDP slate. UDP managed to control all 13 polling boxes, capturing the win for their full slate. 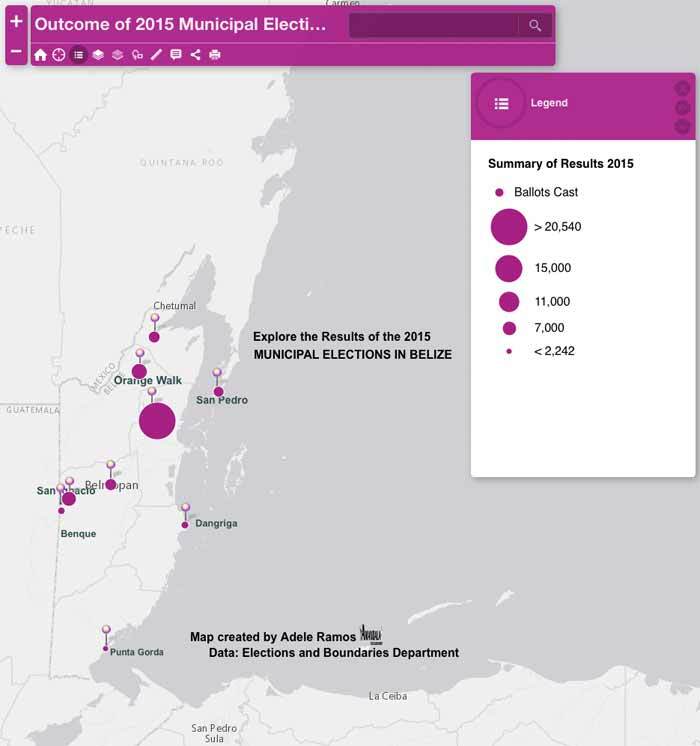 Fully account of Municipal Election results on ArcGIS System by Adele Ramos Amandala Press.